How do you feel about having the lifetime job of being you? Are you happy with your one and only full-time employee? Would you try to hook-up with your life if you read about it in a personal ad? 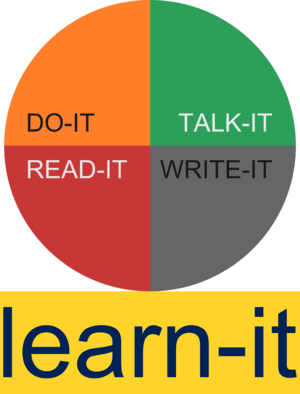 Writing can clarify your thinking and can help to sort out your more irrational thoughts and feelings from the facts. Here’s an exercise I will challenge you to complete. Write a personal ad that “factually” advertises your life as it really is now. Be honest with yourself as you are the only one who will ever read it. Condense it down to your most important elements, just like a personal ad where every word costs you money. Then add a couple of sentences about what you are seeking in this life of yours. What would make you the most and the best you that only you can possibly be? Once you have your ad written, read it over carefully. Have you met this person lately? Would you respond to this ad if you came across it? Does it make you want to throw caution to the wind and immediately respond? Does reading about your life peak your curiosity to at least meet yourself for a cup of coffee? Do you sound like you might be your soul-mate? If your ad has sold you on being you, congratulations! Take yourself out on a date. The great news is that you get to live happily ever after with you. If you would rather pass over your ad for a more interesting one, then maybe it’s time to consider some new possibilities for your life. If you’re still breathing, there is still time for a life ad re-write. What can you begin to do today that would be worth writing about in your ad in the near future? Isn’t life far too short to be boring the one responsible for living it? It’s your job to live the life only you’ve imagined. Please respond to your own ad. I hope you find true love with the ad’s writer and live happily ever after. Feel free to share your ad seeking you in the comments section. Maybe it will spark someone to fire up his/her life! One of the greatest challenges and rewards of coaching executives is trying to help them uncover or discover their abundant capacities. 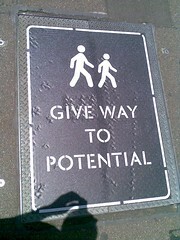 I tend to call them strengths, but lately I am liking the words “abundant capacities” more and more. Abundant means to have an ample or more than sufficient supply. Basically, whatever you have that is abundant is more than enough to meet your needs. Capacity means one’s mental or physical abilities. Put those two words together and you have been gifted with abundant capacities which are more than enough to make you capable of reaching your goals and a satisfying your life’s purpose. Discovering your abundant capacities allows you to live up to your full potential. Many of the leaders I coach have lost sight of their abundant capacities that make them capable of greatness. They have become focused on their limited capacities that make them incapable of doing what they believe will make them successful. We are all just one failure away from facing our limits. The question is, will we allow our failures and limited capacities to limit our achievements and pursuit of our destiny? The most significant leaders do not. When confronted with 360 degree feedback from peers, bosses and direct reports, most leaders quickly gloss over their abundant capacities that are readily identified and fixate on anything that is reported as a potential limit or weakness. By definition you cannot expand a limited capacity. There is not such thing as 101% of anything. If you only have an ounce of compassion that is hardwired into your being, then expecting to develop 100 pounds of compassion by next Wednesday, may be a bit unrealistic. Yet, I have seen leaders who have been blessed with abundant capacities lose sight of this and constantly agonize over any limit they perceive as a fatal flaw. They begin to foolishly major in minor things at the expense of developing their more abundant capacities. God does not make mistakes. He made you the way you are for His reasons. If you develop your abundant capacities and turn them over to His guidance, and direction, then you might get a chance to use them on His behalf. You will become an active participant in God’s eternal plan. You’ll know if you do, because this will be the most satisfying experience of your life. Are you listening for your calling and purpose? Are you ready to test all your abundant capacities in a risky venture that is sure to fail in the end? We call it living. And while our bodies might ultimately fail us in death, our significant legacy may live on eternally. What gifts have you been given in an abundant capacity? Who can you team with to make your limited capacities irrelevant? I give all the money I receive from book sales to CHADD.org, the national non-profit organization that helps people with Attention Deficit Hyperactivity Disorder (AD/HD). My hope is that this organization can help those with AD/HD and those who love them, to find ways to focus on their abundant capacities and not view AD/HD as a limitation. You have abundant capacities! Using them will make you abundantly capable of achieving your significant goals and will fire up your life! What are you waiting for? Have faith! 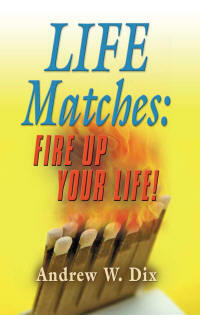 I wrote “Life Matches: Fire Up Your Life!” to urge you to choose to live your life Fired Up! This means that you learn to live your life using your natural, God-given strengths and manage around your weaknesses. The goal is to make your strengths so strong that your weaknesses do not keep you from being the 100% you that you were born to be. The only thing is, I AM WRONG! There is no such thing as weaknesses! We only have differing levels of capacities. You may have been born with a limited capacity in one particular personal gift or talent, but it is not a weakness unless you choose to judge it as being one. Rather than feel dejected and depressed about your weaknesses that never seem to improve, why not accept, understand, and embrace your limited capacities for what they are? Your limits are something that can keep you humble. Your limits can keep you safe. Your limits can keep you using your strengths that keep you on purpose! A nine volt battery does not have a weakness because it cannot generate 12 volts of power. It isn’t designed to do so. 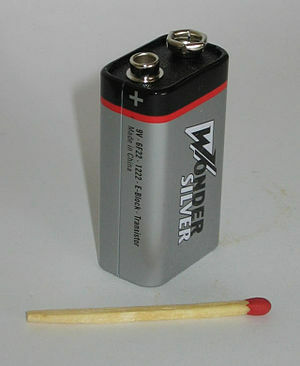 The battery is designed to store and deliver nine volts. It is limited, but it is perfectly limited for its rightful purpose. So are we all. The next time you are spending lots of emotional and thought energy worrying about your weaknesses, rename and reclaim them for what they really are…your limited capacities. God does not make mistakes. You are perfectly you with both strengths and limited capacities. Test and explore your limits and in areas where you discover you have the potential to expand your capacity (strengths) go for it!